Excluding artists, religious figures, royals with numbers attached, and people from a period or culture in which last names were not commonly used, Napoleon is one of the few historical figures readily identifiable by only his first name. Who was Napoleon Bonaparte? 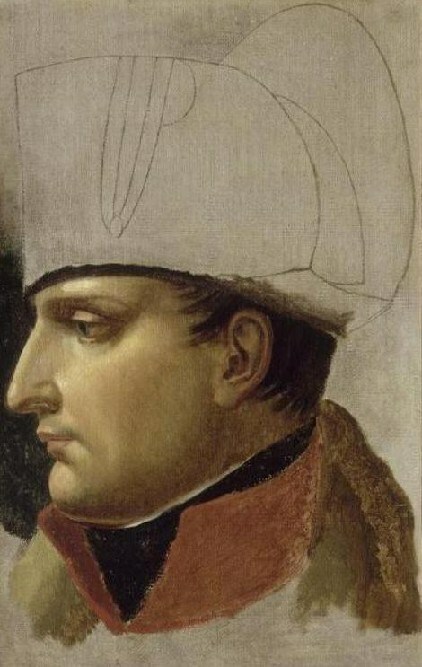 Napoleon Bonaparte was born in Corsica (a French island off the coast of Italy) on August 15, 1769. He trained as a French artillery officer and led some successful campaigns during the French Revolution. In November 1799 he staged a coup d’état and took over the French government. He was crowned Emperor of the French in December 1804. Napoleon Bonaparte conquered a large part of Europe, but failed in his attempts to conquer Spain and Russia. In April 1814, he was forced off the throne by a European coalition. Napoleon was exiled to Elba (another island off the Italian coast). He escaped from Elba in February 1815 and returned to France, where he again ruled for a period known as the “Hundred Days.” Once again Napoleon fought the European coalition that was allied against him. He lost the Battle of Waterloo in June 1815. Napoleon was exiled to St. Helena (a remote British island in the South Atlantic), where he died on May 5, 1821. Opinions about Napoleon run the gamut from worshipful to censorious. Robert Gildea provides a good roundup in “Napoleon: Saint, Sinner or Both?” in the November 2013 issue of History Today. For more about who Napoleon Bonaparte was, read his biography on History.com or About.com. If you’d like more information about Napoleon’s life and times, dive into the following websites. A treasure trove maintained by the Fondation Napoléon, with a fantastic digital library. Another excellent site, full of Napoleonic goodies. Website of the International Napoleonic Society, with many scholarly articles and links. Over 46 hour-long episodes, each covering a period of Napoleon’s life and career. Wonderful collection of prints, monographs, maps, etc. Armies, battles, strategy, tactics, commanders, uniforms, maps. The French version of the site is more extensive than the English. John Tyrrell’s musings on St. Helena, Napoleon’s exile and English attitudes towards Napoleon. In French, for diehard researchers, source of documents (archives, objects, listings) devoted to the period 1789-1815. If you don’t read French, you might still enjoy the photo albums on the blog. (A bonus #11) Excellent discussion forum focused on the French Revolutionary and Napoleonic Wars, with lots of useful information and links for those interested in the 1792-1815 period. (A bonus #12) A new site focused on Napoleon and the Waterloo campaign, including a Napoleonic role-playing game. “French Revolutionary army” is a nonsense, the revolution is just an historical era for historians not a regime. Bonaparte was an officer of the French Republic. Did you know that between 1805 and 1808 the French coins were engraved “Napoleon Emperor, French Republic”? That might sound weird as he was crowned in 1804… At first Bonaparte was First Consul of the French Republic, then Napoleon was the Emperor of the French Republic (like Caesar was Emperor of the Roman Republic) and eventually he became Napoleon Emperor of the French Empire. You can learn a lot by the coins. Thanks, May. I’m glad the post was helpful. As a fellow writer, I am curious if you use the Chicago Manual of Style or AP? In my book, I put URLs in italics. What is your opinion? What is your online font? I default to Georgia which is preloaded on my Apple Mac. I must confess that I don’t adhere to any specific style guide in my blog posts, Kevin. I don’t put URLs in italics. I don’t think it matters whether they’re italicized or not. I’m not sure what the font is, as the site was designed by the excellent team at Bookswarm. It looks like Georgia, or something similar. I have been praised with exaggeration, like all sovereigns who have done extraordinary things; but I always knew my intrinsic value.